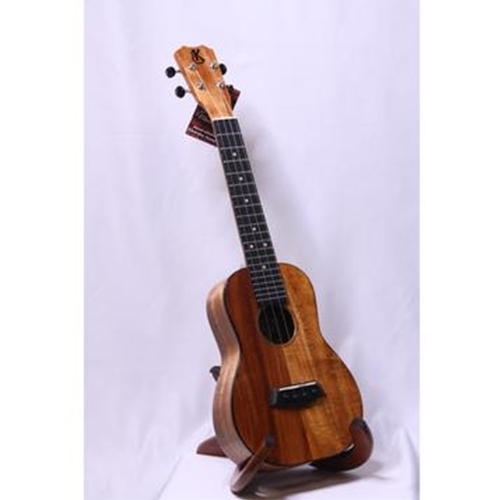 Based on the foundation of the K-1 model's resonance, sustain and intonation, the K-2 offers up features that add a classy touch to your Kanile`a. The Black-White-Black thin rosette is elegant in its styling while the Faux Tortoise top binding is both aesthetic and functional, providing an extra seal of the sound board to the sides of the body. Comes in a Canvas semi-hard shell case.